Fittra Construction - Builder, Shop Fitting based in London, Greater London. 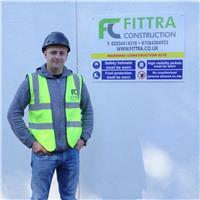 Fittra Construction is West London based company, serving residential and commercial clients around west London and surrounding areas. We believe that greater results and happier customers is key to future business referrals. The Fittra construction team of professionals offer a one stop-shop quality services to fulfil every home owner’s wants and needs. From conception to possession, our team will guide and assist you throughout the entire project. For clients who already own a property but have not begun the design process, Fittra can help you design your dream home. Distinctive architectural plans, each with leading edge technologies and exquisite features are synonymous with Fittra Construction. Fittra's team of professionals will also obtain minor variances, required permits and approvals as well as working directly with trades personnel to ensure that every client is completely happy with their new home. All our projects come complete with a one year limited warranty. Fittra’s after-sales service department will promptly correct problems that may arise with your home. This is all part of OUR commitment to creating fine homes – built to last for generations. For clients who already own a property and have approved architectural plans, Fittra Construction professional project management team can step in to help guide and manage the entire construction process. High attention is paid to every detail, inside and out. The use of high quality materials skillfully applied and professionally installed ensures that each fine luxury home meets stringent standards. Ongoing consultations throughout all construction phases assures complete client satisfaction.